What trade show booth furnishings should I include in my exhibit? When planning your setup, it's important to choose how you want to appeal to attendees. 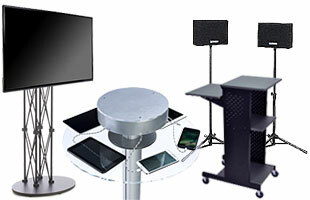 Which trade show booth furnishings will fill the limited space in your event display? If you only have a standard 10' by 10' area for your showcase, this can be a real concern. 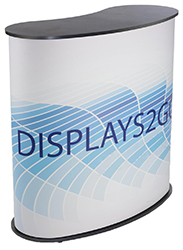 Our trade show booth furnishings are made for efficient space use, maximizing the area for promotional literature and product samples. These fixtures have a convenient portable design that makes transportation to the next convention a breeze. What types of event supplies do we offer? Trade show booth furnishings are important for creating a good impression. Our event furniture is the perfect solution, featuring modern, attractive designs that will fit into any exhibit's presentation. Browse comfortable chairs, convenient counters, and high visibility display cases all with portable fabrications. 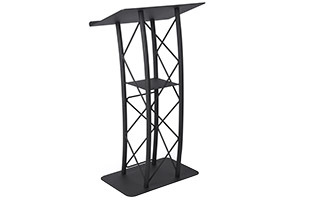 Literature stands are ideal for holding promotional materials like catalogs and brochures. Create a lasting impression on attendees when they take a flier about your business home. These portable magazine racks have a compact design that features a large quantity of literature in one convenient space. 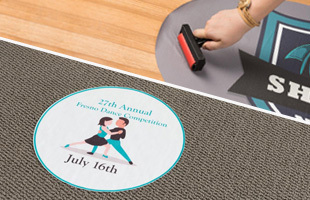 Complete your exhibit display with comfortable event flooring! These soft interlocking tiles come in a number of finishes and are great for adding style and comfort to your commercial display. 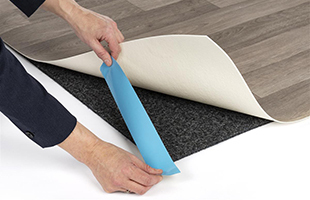 Lightweight and strong, these anti-fatigue floor mats are also easy to put together. 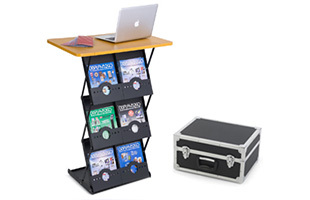 Podiums and laptop stands are excellent for creating a focal point in an exhibit. Using these counters, exhibitors can greet guests and create a personal connection. Starting a healthy relationship with the client is great for cultivating a positive company image. Why not attract attendees in with something more flashy? 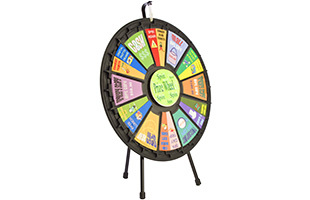 Our promotional games are an interesting way to gain attention and give out prizes. People love the feeling of winning — promote your brand by giving away product samples and merchandise to winners. Lighting is another great way to draw attention at busy expos. 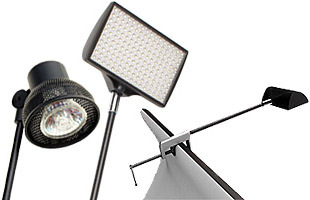 Our selection of safe portable lights puts companies in the spotlight and increases visibility. Use effective illumination and passersby can't help but look in your direction. Want to feature a presentation using the latest devices? Check out our high-tech booth furnishings like digital signage and phone charging stations. Dynamic fixtures like these feature more information than your average promotional tool. Browse both wired and new wireless phone chargers here. How do you bring all of these booth furnishings to the convention hall? All of these fixtures are portable with collapsible designs, folding down to a fraction of their full size. Traveling companies often have limited time and manpower to set up their displays. 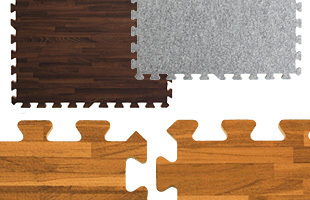 That's why our furnishings are easy to assemble and break down. Most units require only one or two people to put it together, even for large counters. Don't expect to spend more than 10 minutes assembling one of these, they're made to go up in a flash! What other features make these exhibit fixtures excellent for promoting brands? Many furnishings come with custom graphic printing. Feature your company's logo and increase your brand's presence with full color, long-lasting images! 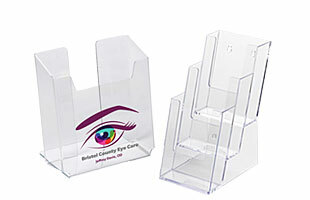 Multi-purpose promotional tools are great for saving space. Counters that feature literature shelves and iPad holders create a place for exhibitors to conduct effective presentations. 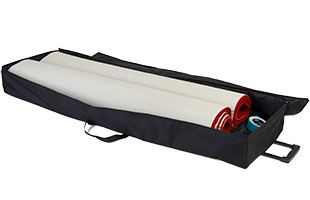 Not only is this furniture portable, but every single unit comes with a carrying case or bag. Smaller travel containers feature convenient handles while larger ones have a tilt-and-roll design like luggage. What else makes our catalog of exhibit furniture an ideal choice for supplying your next convention outing? 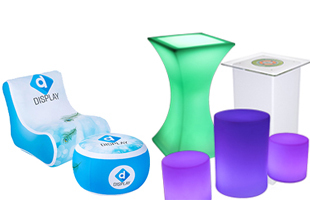 Displays2go offers products with quick shipping so customers get their order as fast as possible. Check product pages to see if same day shipping is supported for the item. If so, it will leave our warehouse if ordered before 3PM EST!